See story at WRVO here. Canal enthusiasts from all over the world converged on Syracuse this week for the 2017 World Canals Conference. One of the reasons organizers chose central New York is it’s intimate history with the Erie Canal, which is celebrating the bicentennial the start of its construction this year. It’s a canal that forever changed New York State and the rest of the country. The first hint of a canal goes back to the 1700s, when a fledgling nation looked to unite the country’s east coast with its vast interior. “This canal had everything to do with the expansion of the West, and it had everything do do with growing our state.” said researcher Mike Allen. He says the Appalachian Mountains stood in the way of an easy passage, so the search was on for an easy way to get from east to west. Some famously pooh-poohed the idea of a canal, like Thomas Jefferson. So it was left to some New Yorkers, led by future governor DeWitt Clinton, to create a waterway between Albany and Buffalo. “It just made sense and it was going to benefit everyone. So everybody pulled together for it,” said Allen. One of the problems was cash. The federal government wasn’t interested in paying the $7 million tab. But among those who saw a real benefit; the salt manufacturers near Syracuse. Onondaga Historical Association historian Dennis Connors says they allowed the state to impose a levy on every barrel of salt sold to pay for construction. “The salt manufacturers don’t object to this particularly, because they realize’ once this canal is done, our industry is going to explode, because we are going to ship this stuff much cheaper and be much more competitive in the marketplace’,” said Connors. So construction began in Rome in 1817 because it was the easiest stretch to dig. And there were problems, especially near Rochester and Buffalo according to Canal historian Dan Ward. But it was finally completed in 1825 to much fanfare. It was so successful that it was expanded within 20 years. And along the way, it created cities and towns and villages dependent on canal travel, according to Erie Canal Museum Executive Director Natalie Stetson. It was expanded again at the start of the 20th century, with the construction of the state’s Barge Canal, which is still in operation today. The old canal may be best known now for recreation. The old towpath has morphed into a popular bike trail. There’s also the historic draw of the canal. 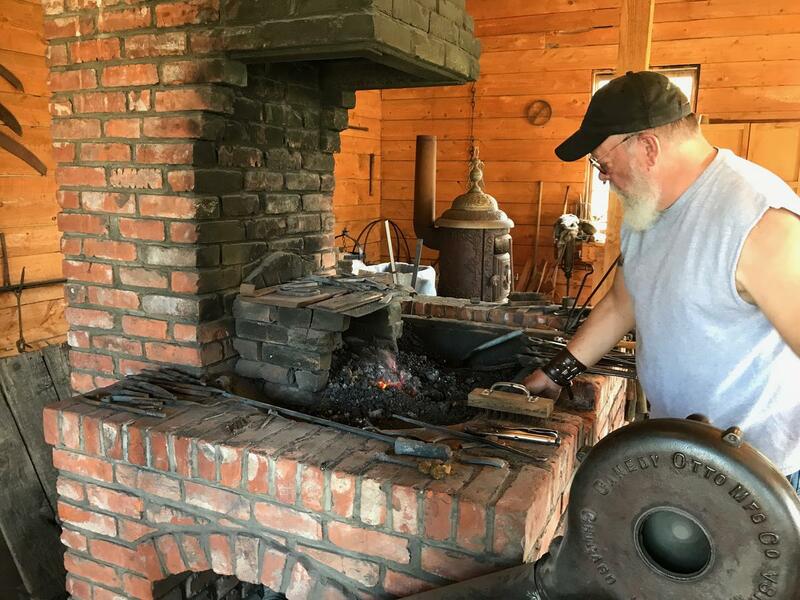 An onsite blacksmith is one of the attractions at the Chittenango Landing Canal Boat Museum, where director Christine O’Neil says 52,000 travelers visited last year. A new generation is also learning about the canal at the Chittenango Landing Canal Boat Museum. 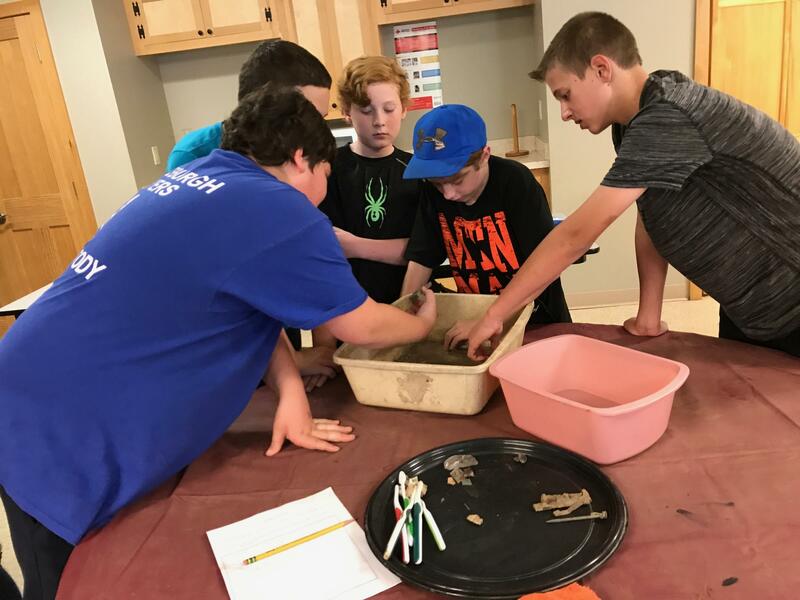 A group of 7th Graders from the Fayetteville-Manlius school district visited this month and sifted through the museum’s artifacts. “We found a lot of glass, nails and stuff. Some ceramics,” said one student. And teachers like Rebecca Stephens appreciate the authenticity of the museum. “We want to get the kids out of the classrooms and get their hands on history,” said Stephens. A history that really goes beyond central New York. “This single engineering project took a third world country and made it into the primary economic force in the entire world,” said historian Dan Ward.